Peter graduated from the Anglo-European College of Chiropractic in 1986. He worked at a large clinic in his native West Country for two years before opening Lancaster Chiropractic Clinic in 1989. He is a member of the College of Chiropractors and the British Chiropractic Association, and is registered with the General Chiropractic Council. Before training as a chiropractor, Claire trained as a nurse, qualifying in both General (SRN) and Psychiatric (RMN) nursing; she specialized in Accident and Emergency work as senior staff nurse. She also took a degree in Psychology. 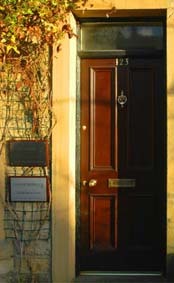 Claire graduated from the Anglo European College of Chiropractic in 1987. She is a member of the College of Chiropractors and the British Chiropractic Association, and is registered with the General Chiropractic Council.